Hey all, this is the first time I've got to sit down and enjoy the forums in a while. Even though I've kept up with the trailers, I have been asking myself, after all the hoops we jumped through in BO2, collecting pieces, building card readers,going back and collecting cards, and using them just to fulfil either of the two protagonists goals have ended in a large story gap (again) with the release of "The Giant" and whatever that other map is called (I'm not to thrilled about that one atm). I am hoping I've just missed something, or forgot a piece of information because I'd be lying if I said I've used my ps3 in the last 6-7 months. So we're here, back in Der Riese, with what looks like our three heroes from Origins, and the Richtofen from the present reality (basically all the maps we play in except Origins). To me, it looks like they know that this Richtofen isn't their version, so they trick him into opening the teleporter and letting "their" Richtofen in. This is where it gets confusing for me a little bit. Why would they go back to this map when the first sighting of the meteor was in Shino Numa? Why come back to a time where there are already zombies? How can a group of "heroes" that in Origins, showed very little knowledge of anything zombie/Samantha related, all of sudden know where to go, what to do,so on and so forth..
A friend had said that when Richtofen shoots his other self, that it is a welcomed death. I don't really believe that but going back and looking I can see why that could be a theory. What do you all think of that? So now, back to the spires. What was the purpose of doing all that just to be brought back to the beginning? Loops are the obvious choice, and I get that, but it's not an explanation as to WHY it loops that way. How can Richtofen go crazy,start Samanthas ascension to power, take her power, be thwarted by Maxis, then have BO2 heroes set up the spires, to be brought BACK to what I believe is the real beginning (origins)where we find out they're ancient heroes....just to end up skipping other maps and landing in Der Riese? Sorry for the poor sentence structure but it's so confusing to even type /faint. 1. Richtofen from Origins is going the way of the Weasle, and waking up to the infinite loop. Going to Der Riese could end the cycle if there is no insane Richtofen to trick the others to going through all the maps and taking Samantha's power. But the question still remains, what will they do with Samantha? Oh yea....and where the $#*^ is Maxis!?! Theorized about that a while ago, It's very possible. Not anymore. The theory was that Origins was after the story or something and it didn't make sense since the map was named Origins and all those events now had to happen otherwise the Giant doesn't make sense. Nothing makes sense with time travel anymore. Wow. So because a theory doesn't work, you blame it on time travel. When it is at the point, you need to rework a theory. Oh no, I'm not trying to prove anything with that statement. I'm quite sure the spires have served the purpose. If the spires are activated for Richtofen: N4 die at the end of Buried, O3 repeat endless cycle from Origins - Moon, Richtofen rules Earth to the end of time. If the spires are activated for Maxis: N4 die at the end of Buried, Maxis takes control of Aether and goes back to start of cycle at Origins, changes original event and rewrites history. Well I understand what they were for, but WHY was it necessary for them to be activated? Was the actual science ever figured out or even theorized about? Maxis had trouble with interference and wanted the power off, but the spires on. Turning them on and pushing the button somehow removes Richtofen from power, but doing Richtofen steps erases Maxis from history. How the eff?? Did we mess up the polar energy of Earth when we blew it up? Does Richtofen mend the rift and restores Earth natural magnetic fields? I just don't get how the spires worked in the game, and I know it's fantasy but so was griffon station, and that was explained pretty clear, as a matter of fact, between the creators and the community, just about everything can be made sense of except this. Well first let me just point out we're talking about science fiction, not science. As much as we love using scientific explanations here, this is still a fictional story we're dealing with. Just putting that out there. The purpose of the spires was to redirect ethereal energy from all living beings on Earth to either Maxis or Richtofen in Aether. If we recap from after Moon, Richtofen just entered Aether in Sam's position, and Maxis was already stuck in there. Richtofen has a decent amount of ethereal energy in Aether, and Maxis has none in Aether. Both need more ethereal energy in order to accomplish their goals, and that's what the spires were used for. They acted as conduits that redirected the ethereal energy left on Earth into Maxis or Richtofen in Aether. If Maxis receives the ethereal energy through the spires, he becomes more powerful than Richtofen in Aether and kicks him out. He then uses that same energy to travel back to Origins and break the cycle. If Richtofen recieves the ethereal energy through the spires, he gains even more power in Aether, and is able to take physical form as he pleases. If you helped Richtofen, you doomed the planet. If you helped Maxis, you reset the original events. Do you want me I go into more detail? I can break it down more if you want. The original idea for the spires from Tranzit is unlikely to be the same idea they concluded with in Buried. I am pretty sure they didn't really know what they were planning with them and just threw out some half-assed purpose towards the end. Richtofen tells us in Tranzit "Hurry, or the dam Maxis built will destroy you all". This dam is no longer mentioned again, nor is the repolarization device Maxis mentions to us. It could be they were just lying to us but the spires definitely feel like some worthless addition to the storyline. The three spires are in locations that match where the rockets hit. We power them so that either Richtofen can repair the rift or so Maxis can enter Agartha. Why we need to return to Tranzit after collecting the navcard on Buried to activate the tower in Greenrun just to return to Buried to finish the end-game is the reason I believe it was half-assed. Why have us go to Greenrun just to enter a card in the machine and quit out is stupid. Then there was the very poorly edited and rushed feeling end games. The Richtofen end-game was a rehash of the Moon ending, with Richtofen once again gaining God like powers and erasing Maxis from existence, or Maxis getting his way and destroying the world... again, all while played out in a very unsatifying and horribe way where we listen to One of these Two speak only to wait a few seconds to hear a response from the other. It was a dark moment for the zombie team and most likely the reason Zielinski parted ways with Treyarch. The N4 storyline was a tragic mess that offered very little in the way of mystery and instead sent us on a wild goose chase powering towers with no real purpose. Their existence (The N4) has very little significance to our story and the EE's were no different. They told no story while we carried them out and gave us very little to add to the story Once complete. I just looked on the wiki and he does say something about a dam but its actually a metaphor. He says Maxis is a busy beaver and the dam he builds will kill you all. I agree with everything else though its all made up as they go along in BO2 and they just kept leaving behind ideas etc like the Flesh which could have been a good story point but was nothing. I strongly disagree about BO2 maps not being planned all along. I'm quite sure everything in terms of the story was planned from the get go, from Tranzit to Buried. There's just too many consistencies to think otherwise. Back in WAW and BO, the story was all over the place and filled with inconsistencies. WAW wasn't planned at all as far as story goes. BO was planned to an extent, but it still felt like they were sort of playing it by ear. Every map had a variety of quotes that weren't fully consistent with the overall story. But in BO2, the story is extremely consistent. 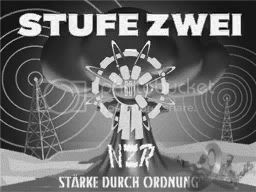 The radios, the Easter Eggs, Maxis diary, they all centered around the main storyline: activating spires so either Maxis or Richtofen could use the power to accomplish a goal. The spires were crucial to the storyline of BO2 Zombies, if they weren't activated neither Maxis or Richtofen could accomplish their goals. Maxis and Richtofen were trying to create Global Polarization Devices that could harness the ethereal energy found on Earth. Richtofen has a quote from Die Rise that refers to this energy:"Vital energy flows through all things, living or dead. My power to manipulate these forces is fragile, and limited. That is why is need your help." The spires we built is what harnessed that energy. Also, the three locations that we built spires at were not the three locations that the missiles hit. Die Rise and Buried might be, but we know Tranzit was not. The missle that landed in that region actually struck down in the Nevada Desert. We see it strike at the end of Nuketown Zombies. When the missiles hit, it severed Richtofen's connection with the ethereal energy on Earth (the dam), and he lost a lot of his power as controller. After that Maxis and Richtofen both tried to gain power in Aether via the spires. And that's where the N4 played a crucial role in the story, as pawns for either Maxis or Richtofen. In order to activate the spires, people on Earth would need to help. So Maxis contacted survivors through electronic devices (like Gersch did) and Richtofen contacted people who consumed 115 infected flesh. The N4 played an important role in our story, even though they were just pawns. As for the endings on Buried being anti climatic, that is your opinion. Considering our story in not yet over, I'm perfectly happy with the endings we got. But that's just opinion. The one thing I will agree with you on is that there wasn't much mystery behind the story in BO2. In WAW and BO, there were a lot of gaps in the story that we, the fans, were able to fill in. It lead to a lot of researching and debating theories and it was a blast. But with BO2, the story was planned before hand, and very few holes were left to fill in. It's kind of a good and bad thing. The good thing is we know what our story is, the bad thing is it leaves little to be imagined. You played Black Ops 2 right? You could summarize the story in a sentence. Theres lots of words you could summarize Tranzit, Die Rise and Buried in as well but I am gonna go with pointless still. The ending lead to nothing, Richtofen gets to his body or Maxis gets in control. Either way, who cares? One ending meant everything was pointless and another was a rip off of Moons, anyone with half a brain could have made a better story for Black Ops 2 and gave Buried a good ending. You seem to be contradicting yourself here Tattoo. You say the story in BO2 was simple and pointless and you could summarize it in one sentence, yet earlier in this post you asked what the spires were used for. Seems to me you set unrealistically high expectations for BO2, and when it didn't meet your expectations you criticized it. The Buried ending for Richtofen WAS pointless, it just meant he was back to the same point he was at the end of Moon, in full control. But Maxis' ending is what lead to Origins, and Origins leads to our new map, The Giant. The story in BO2 was far from pointless. We wouldn't have The Giant if the events of BO2 never took place. The maps may have been planned out but I doubt they had the storyline completely worked out, and if they did they did a horrible job with it. The Navcards for example. There is no way they were put in just to power the towers that we had already powered. What we got was not what was intended, and if so then they were completely unnecessary. BO1 had a much richer and in-depth story going on. BO2 took us to Two locations (China and Aftrica) that had barely any significance to the storyline other than being tower locations and Buried happened to be located beside the reef. Whatever storyline going on in either of those maps had absolutely nothing to do with anything. 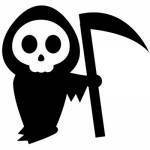 A wanted man and a weeping widow. Who cares about the guy who invented the Time Bomb if he plays no part in our story? At least Tranzit had some mystery and felt like something had been going down that could link to our main story but it went off course with the next Two N4 maps. It seems a bit much (and very lazy) to carry the same EE and purpose over 3 maps. Not much was explained that could not be covered in just 1 of the EE's. The BO1 EE's were story driven way more than the BO2 EE's were. Well the assumption was that Green Run was located near to the Nuketown site, so it still kind of covers it. When you see the rockets hit the Earth on the Moon EE, they seem to hit the 3 locations perfectly. I agree there was definitely story in there, but it was the same thing over 3 maps and it was lazy in my opinion. Certainly didn't add much in compared to what BO1 did for the storyline. It is only my own opinion and I don't expect everyone to share it but I still think it was horrible. The voice editing was tragic to say the least with long pauses between each exchange between both Maxis and Richtofen. They also literally just rehashed Moon. Richtofen convincing others to help him gain God-like powers while going against Maxis, who's ultimate goal is to destroy Earth. Sound familiar? I just feel it was terribly lazy and such a cheap way to end the N4 story. At least Origins left us jaw dropped, but maybe for the wrong reasons. We don't know anything about Broken Arrow, the flesh, why Marlton was in the Nuketown bunker, and likely will not get an explaination for the Origins end sequence by the looks of things with the Giant. Time will tell though. Again I will just reiterate that it's your opinion DeathBringerZed. I'm not here to debate on whether or not the story in BO2 was poorly or well executed. That discussion is best suited for another thread specifically devoted to it. We're only going off topic with this one. This thread was meant to explain what the purpose of the spires were, and that's what I did. I also tried to make it clear that the events in BO2 were not pointless, which they weren't. Those are facts. If you want to voice your concerns or complaints about how Treyarch executed the zombies story, then create a new thread for that and we'll discuss it there. Again I will just reiterate that it's your opinion DeathBringerZEN. I'm not here to debate on whether or not the story in BO2 was poorly or well executed. That discussion is best suited for another thread specifically devoted to it. We're only going off topic with this one. Well you are actually when you chose to reply to my comment debating on whether the story was poorly executed, and if you don't want the thread to go off-topic then why did you even reply to me if the first place then with an off-topic comment? Also, just because the events of BO2 may not have been pointless in your eyes does not make it factual. You are entitled to your opinion though. I feel the spires and BO2 were at least somewhat planned due to this picture. But I don't take think they were planned as much as they could've. BO2 felt like they designed the location first than decided to shove the story in to fit. Hey lets make Die Rise the least relevant map ever by making it take place in a random tower with no association to anyone or anything. No it just felt like they had the template of towers being activated and that was it. You should not have had to do it 3 times. Why couldn't do other tasks that would result in the end result. The Nav Cards were really not needed and just felt like a cheap way of making you go on a goose chase and playing all maps. Who is Tattoo? I am Nightmare and I didn't contradict myself. I didn't ask what the spires were for either what are you talking about? 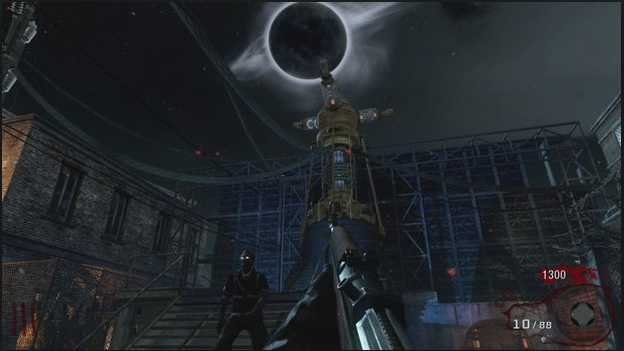 When Black ops 2 Began I theorized that the spires were going to be used to teleport the entire planet somewhere else. There are 3 Spires and each spire needs 115 in order to get it working. There is a very similar invention in Der Riese that shares the same concept. The mainframe teleporter has 3 tower shaped on the top. Most likely filled with 115. I believed that perhaps Maxis or richtofen wanted to fuse Agartha and Earth together through the use of teleportation. Once the Earth goes through the Rift it would become fused just like how Fluffy fused with Aethereal energy to become a hellhound. Who is Tattoo? I am Nightmare and I didn't contradict myself. Wait a damn minute now..... what do you mean "Who is Tattoo?". On topic, great summary on the spires, makes a lot more sense now. I think the topic has been answered pretty well! @Tattoo247 So you want to be recognized and known, huh? How about not going on a months long hiatus?